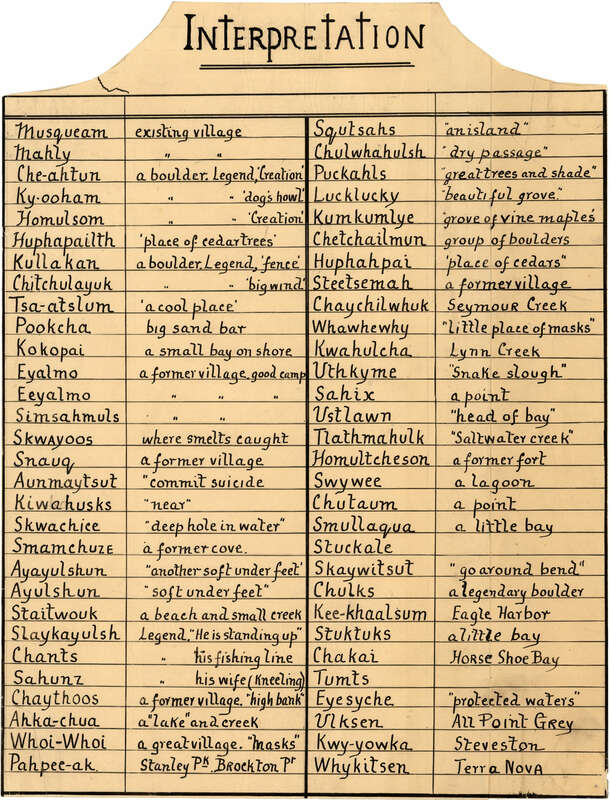 The item is a table of place names shown on map 56.01; Indian villages and landmarks, Burrard Inlet and English Bay, before the whiteman came. 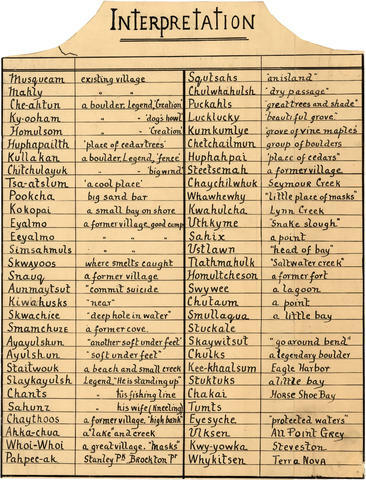 The table gives First Nations names and their approximate english meaning, or the European name given to the same location. Item had previously been alienated from its original fonds and placed in AM1594.